There tends to be backlash when paternalistic policies become enacted: be it increasing excise taxes on tobacco, banning single-use plastic bags, or plans to ban the popular Lime scooters for safety reasons. People will always insist that they know what’s best for themselves and their loved ones, without any Government regulating mandating them to do so. But this begs the question: if people are going to do the “right thing” anyway, why would they be bothered if there was suddenly legislation requiring them to do the same thing? Shouldn’t the new “paternalistic” regulation make no difference to their behaviour? Even if there were penalties imposed, because these anti-“nanny state” advocates were going to do what is “right” in the first place they will not be affected in any way. Thus, the only people who will be impacted by such measures are those who act against their own best interests and pose some kind of threat to society. The previous National-led government refused to implement such policy, and this was widely criticized by observers – Garner included, who called them “a pack of wimps”. 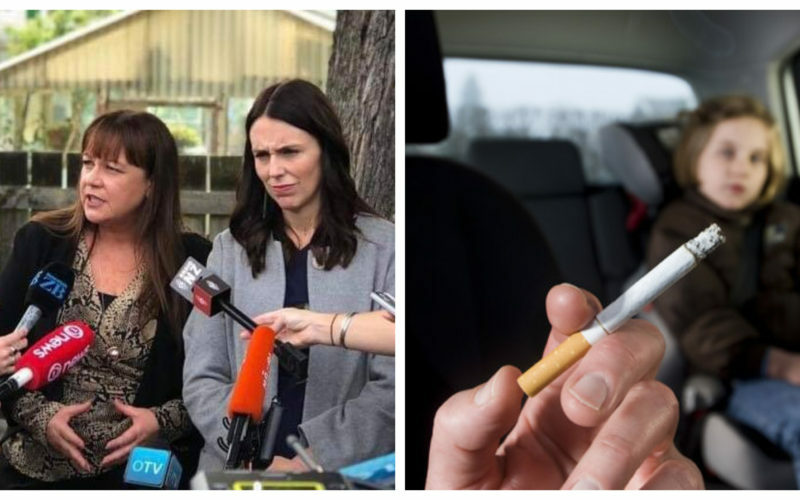 The incumbent Labour-NZ First government, on the other hand, is heeding calls for action and has introduced new policy to curb the unhealthy habit. NZ First MP Jenny Marcroft (center) speaks to reporters. Marcroft is NZ First’s spokesperson for health. 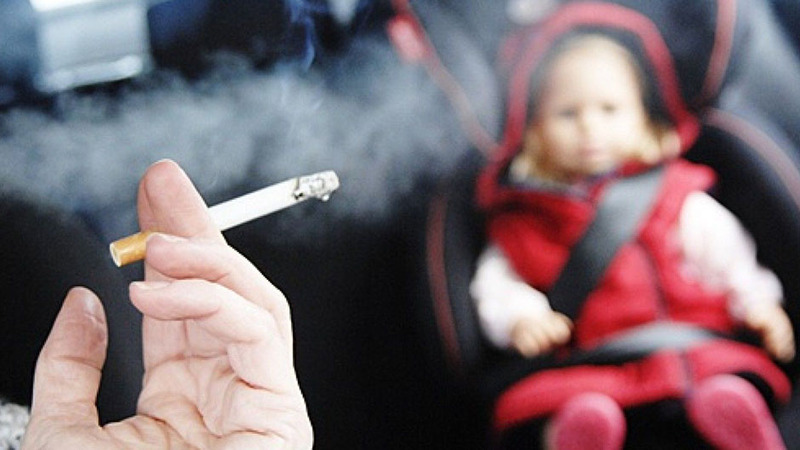 The Coalition Government has announced a new law that will give police the power to smack a $50 infringement fine to motorists who are caught smoking while those under the age of 18 are inside the vehicle. This announcement was made before the start of the Weet-Bix Kids TRY-athlon in Point England Reserve Sunday morning, a fitting event to address a health issue at. Associate Health Minister Jenny Salesa and NZ First MP Jenny Marcroft – party spokesperson for Health – were both present to formally announce the new policy. “More than 100 New Zealanders die every year from the effects of second-hand smoke and this change will bring us in line with other countries like Australia, UK, Canada and South Africa. 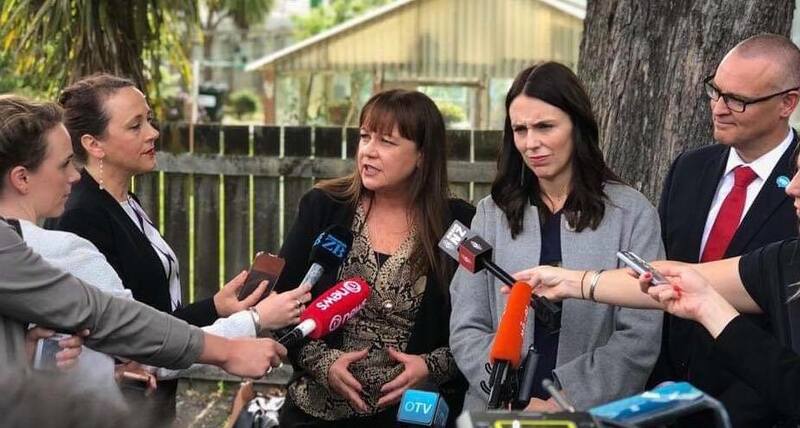 And despite the near-unanimous support from public health experts, as well as from most Kiwis for clean air in cars for kids, do-nothing National failed to act,” she added. Protecting children is the key aspect of the measure, but a critical side to the new regulation is that police may also forego the issuance of a fine and instead refer the offender to anti-smoking support services. To ensure that the bad practice of smoking inside vehicles stops, the Government is employing a carrot-and-stick strategy to do so. There is a highly-ambitious program in place called “Smoke-Free 2025”, which envisions a minimal number of smokers by the year 2025. Measures such as what has just been announced will play a crucial role in achieving that goal, especially given that the timeline has been dismissed as “unrealistic” by many. The current Coalition Government’s actions to achieve the 2025 target has also been criticized as lacking by many, a vocal critic in particular is former MP and prolific Māori activist Hone Harawira – who has continuously emphasized the ill-effects of tobacco-use in Māori communities. Both he and Garner will find delight in this new announcement, and hopefully its strict implementation will lead the way to significant reduction of tobacco use – not just inside vehicles with children – but in general. The potential harm that second-hand smoke causes our young people cannot be left to chance, it is wrong for the Government to allow children to become victims of the frailties of adults and firm action is indeed necessary.